January 18, 2018 – When Russell A. Lagasse passed away in Orange County, California, in 2009, his estate plan directed that a testamentary trust be established following the administration of his estate. The plan further directed that the trustees should use a portion of the trust assets for organizations that promote space travel. After researching and reviewing organizations that fit within these parameters, the Space Foundation was selected by the co-trustees to receive a donation from the trust in 2016. Then in January 2018, the trustees elected to make another distribution to the Space Foundation, which will be used to support the Space Foundation’s STEM education programs, to inspire and prepare a future generation of space travelers. “We are honored to be able to carry on Mr. Lagasse’s commitment and passion for space travel through our comprehensive and broad-reaching programs, and grateful to the trustees for their confidence in our work and ability to carry on the legacy of Mr. Lagasse,” said Space Foundation Chief Executive Officer Thomas E. Zelibor. Planned gifts, such as this testamentary trust, enable individuals to make meaningful gifts to organizations that reflect their beliefs and values, while leaving a unique legacy to memorialize those values and beliefs by supporting them during their lifetime and beyond. The Lagasse gift is being used by the Space Foundation to support its New Generation Space Leaders program, enhance its international space activities and programs and fund its education and Discovery Center curriculum and exhibits. 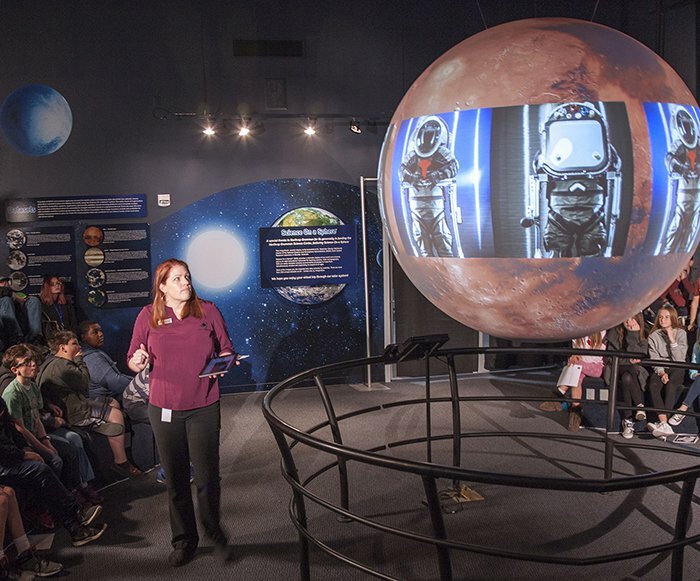 The Space Foundation educates the public about the importance of space travel and creates inspiring educational experiences for the next generation of space explorers, through its field trips and classes, Space in the Community program, Audience with an Astronaut and Discovery Center events and laboratory activities. Its education team includes international award-winning professional educators, master teachers and museum curators. To learn more about Space Foundation education programs, please visit www.discoverspace.org/education. As a nonprofit organization, the Space Foundation depends on charitable gifts to help carry out its mission to inspire, educate, connect and advocate on behalf of the global space community. For information about gifts to the Space Foundation, please email philanthropy@spacefoundation.org.